We are the vanguard of marketing prestige property. Our service is tailored through technology, making us the modern go-to for real estate professionals, buyers, and sellers who expect the very best from the very best. A Powerful Statement We all have dreams, and they are as vast and varied as the world is wide. But they all start with inspiration, and inspiration starts with your surroundings. That’s what home is. Family. Friends. A sense of place. An amazing view. It’s all part of what makes a space a home, because your home is where you truly LIVE. As a leading luxury real estate brand, Sotheby's International Realty® understands that your best life begins with a home that inspires you. _________ INSIGHT: We think diﬀerently at the Sotheby’s International Realty brand. We’re a luxury lifestyle company. The properties we represent are inspirational and aspirational. We inspire homeowners and that’s why they think differently about us. As a representative of our brand, expectations are high and the possibilities are limitless. Be a visionary. Our Iconic Brand Building on the centuries-long reputation of the preeminent auction house, the Sotheby’s International Realty brand is recognized globally. Our legacy of quality service and expertise is unmatched. _________ INSIGHT: Luxury is not about price. It’s about an experience. Affluent consumers rank Sotheby’s International Realty among the most desirable global brands. With that comes the expectation we will understand their desires, anticipate their needs and embolden their aspirations. Brand Heritage Recognized worldwide, the prestige of the Sotheby’s brand is unparalleled. The acclaimed auction house, established in 1744 in London for collectors of art and other fine possessions, expanded to New York City in 1955. Sotheby’s International Realty inherited the iconic brand name, building on its legacy by delivering unrivaled real estate services. _________ INSIGHT: Sotheby’s speaks to the integrity, authenticity, and heritage of a remarkable brand. Competitors may have name recognition, but the Sotheby’s brand delivers intangible emotional appeal while offering sellers equity in a company built on excellence. The seller benefits from the Sotheby’s brand name as well as a reputation for service excellence. A Unique Collaboration Our connection with Sotheby’s is our unique difference. We offer an outstanding alliance of marketing efforts that present our properties to the esteemed clientele of Sotheby’s. The properties represented by our network are exclusively featured in Sotheby’s auction house marketing programs including high-profile client events, showcases in the signature publications of Sotheby’s, in digital newsletters, and on Sothebys.com. _________ INSIGHT: Our alliance with Sotheby’s auction house extends to a shared client base of like-minded, high-net-worth individuals. The Sotheby’s International Realty brand has a physical presence at Sotheby’s headquarters in New York and an Auction Relations Manager to help facilitate realty to auction referrals and vice versa. In addition, complimentary behind-the-scenes tours of Sotheby’s are available for sales associates and clients. _________ INSIGHT: The Sotheby’s International Realty brand has offices in the most significant markets in the world. These markets act as catalysts in generating sales traffic for one another. Additionally, our broker-to-broker referral network augments the deep personal networks of our sales associates. Sellers benefit from the added opportunities to find buyers through the referral network as well as through Sotheby’s auction clientele. Brand Marketing High-quality, richly-illustrated, and engaging content delivered across multiple platforms inspires our global clients. Because purveyors of fine art and possessions are equally passionate about their homes, we take pride in showcasing our properties in ultra high-definition video, virtual reality tours, and rich photography. These engaging formats are designed to inspire buyers and sellers in all phases of their journey. _________ INSIGHT: Branding is the emotional bond we create with our clientele. It is the value we bring and the promise we make that stands us apart from our perceived competitors. The Sothebyâ&#x20AC;&#x2122;s International Realty brandâ&#x20AC;&#x2122;s marketing strategy is about developing and curating quality content across multiple platforms and devices to maintain our global brand recognition and drive highly-qualified consumers to sothebysrealty.com. It is an added value a local company simply cannot offer. Media Partnerships We partner with leading media powerhouses to deliver content to discerning audiences worldwide. Our partners’ cutting-edge innovation, strategic positioning, and international impact enable the Sotheby’s International Realty brand to successfully connect with global consumers. _________ INSIGHT: Our global media partners help us achieve our marketing goals. We leverage our relationships to deliver our messaging and articulate the Sotheby’s International Realty brand strategy, a differentiator competitors cannot replicate. Targeted Advertising With an emphasis on exclusivity, the Sothebyâ&#x20AC;&#x2122;s International Realty brandâ&#x20AC;&#x2122;s advertising plans are driven by a consumer-centric approach targeting all stages of the real estate journey. Our robust digital and print strategy is aimed at showcasing homes to highly-qualified homebuyers. _________ INSIGHT: Our targeted advertising program features extraordinary properties from the network with a goal of reaching real estate intenders in the inspiration, exploration, selection, and conversion stages. These ads drive traffic to sothebysrealty.com where they can search our properties around the world. Social Media We actively engage with online networks of people passionate about fine living. The Sotheby’s International Realty brand creates exclusive content on multiple social media platforms, including Twitter, Instagram, Pinterest, LinkedIn, WeChat, our very own Extraordinary Living Blog, and Facebook, the top-referring source of traffic to sothebysrealty.com. Additionally, the Sotheby’s International Realty brand’s YouTube channel has more video views and subscribers than any other real estate brand. When it comes to luxury real estate, we drive the conversation. Our public relations team has fostered relationships with leading media outlets that generate awareness of the Sotheby’s International Realty brand and position our proprietary global network as the voice of luxury real estate. _________ INSIGHT: Our public relations efforts position the Sotheby’s International Realty brand as a powerhouse in luxury real estate by leveraging our content and showcasing the remarkable and historically significant properties we represent to media outlets around the globe. It is an awareness that drives exposure of the brand, traffic to sothebysrealty.com, and ultimately, to the homes we represent. sothebysrealty.com The art of marketing a property is based on showcasing each homeâ&#x20AC;&#x2122;s unique character. In 18 languages, our enhanced editorial approach on sothebysrealty.com enables millions of viewers to immerse themselves in our collection of 3D virtual reality tours, high-definition videography, and high-resolution photography. This content-rich experience is more effective in driving prospective buyers to sothebysrealty.com and engaging them once they arrive. Touch Gallery We continually employ impactful technology to showcase the homes represented by our network. At Sothebyâ&#x20AC;&#x2122;s International Realty affiliate office locations, our cutting-edge storefront Touch Galleries are state-of-the-art. These high-definition, through-the-glass touch-screens encourage foot traffic interaction with our global properties. _________ INSIGHT: The Touch Gallery is a storefront display technology being adopted by many Sothebyâ&#x20AC;&#x2122;s International Realty affiliate offices with walk-by traffic to engage potential buyers and create more exposure for our sellers and partners. Apple TV The Sotheby's International Realty brand’s Apple TV app is designed to truly immerse consumers in the brand. With our innovative app, homebuyers can discover Sotheby’s International Realty brand properties from the comfort of their living room. Unique to our app, users can explore our extraordinary offerings via lifestyle, amenities, and can highlight properties and recent searches. _________ INSIGHT: Our Apple TV app is an example of the inventive ways we distribute the properties you represent and get them into the homes of consumers where they can browse comfortably. Displaying our high-definition photography and videos in a large-screen format provides a more immersive experience and allows us to showcase Sotheby’s International Realty brand properties like no other company. SIR Mobile The Sotheby’s International Realty brand’s mobile app is the only luxury real estate app that serves properties in 72 countries. Experience homes on your mobile device like never before with immersive 3D property tours and our new augmented reality "shop the room" functionality. Customize the app to your local currency, unit of measure, and one of the available 18 languages. Curate Curate by Sotheby's International RealtySM is the innovative augmented reality (AR) luxury real estate tool helping consumers envision, design, and experience their future home through an immersive virtual environment. The Sotheby's International Realty brand is the first real estate brand to launch and implement a virtual staging AR app, transforming the home buying and selling experience for sales associates and consumers. _________ INSIGHT: Why it matters for real estate professionals: Showcase properties in multiple styles and functions, minimize the need for physical staging, and transform a home during a showing to meet your clients design preference. Why it matters for homebuyers, renters, and homeowners: Overcome visualization barriers, avoid complex measurements and guesswork, and simplify the home furnishings, decorating, and move-in process. RESIDE® Conceived in the belief that home and living are inextricably entwined, RESIDE® is the Sotheby's International Realty brand’s magazine devoted to the finest in inspirational homes and lifestyles worldwide. A destination for connoisseurship in the arts, culture, design, travel, fashion, food, and philanthropy, RESIDE casts its net wide to discover the very best of gracious living. We present it to our readers through stories told in words and pictures by the world’s most talented and creative individuals. RESIDE is available through a custom-publishing program with Dow Jones Media Group for our affiliate network, coupled with a robust digital presence which extends the global reach of the content. Keystone® Keystone is the Sotheby’s International Realty brand program offering exclusive marketing services to affiliated companies working with new developments in their markets. With exclusive promotion on sothebysrealty.com, dedicated campaigns and client events, we connect with the world’s most qualified buyers through the marketing power of the Sotheby’s International Realty brand. _________ INSIGHT: When preparing a presentation or finalizing your sales and marketing plan for a new development, count on our team of brand experts and approved partners to help you position a project for success. Icon Only the Sothebyâ&#x20AC;&#x2122;s International Realty brand could deliver a program like Icon to serve high-profile properties. Harnessing the global presence of the brand with the exclusive exposure through Sothebyâ&#x20AC;&#x2122;s and each affiliated brokerage around the world, Icon delivers unique opportunities no other brand can offer. _________ INSIGHT: When marketing a notable home with unique features, location or price point, a custom sales and marketing plan is vital and our team can assist you in creating this plan. A higher emphasis on targeting the right prospective buyers through targeted communications and events is expected. Also, a lifestyle-focused strategy can make a difference securing the listing and successfully closing a sale. Conﬁdential Conﬁdential, our exclusive marketing program for private listings, has helped sales associates secure new exclusives by offering private previews to top clients of the Sotheby’s auction house, Mansion Global Reserve members and top sales associates from the Sotheby’s International Realty network. It has since become an effective tool to start a long-term collaboration with a new client. This collection features one-of-a-kind properties with unique architectural features and style. _________ INSIGHT: Private listings are an important segment of luxury real estate, and sales associates representing the Sotheby’s International Realty brand have the unique ability to secure this type of listing through Conﬁdential. No other real estate company can distribute listings to clients of the Sotheby’s auction house. 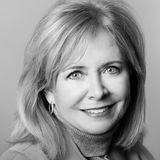 Collections and SigniďŹ cant Sales Collections is a quarterly newsletter published for the Sotheby's International Realty member network with information, events, and happenings about our affiliates, company, and industry. Significant Sales is a monthly report that provides a snapshot of recent significant sales within our global network. Significant Sales is a staple product to use for presentations, in addition to acting as an effective client touch-point communication to disseminate each month. _________ INSIGHT: Collections and Significant Sales help you engage with clients about relevant news, act as a valuable communication tool, and leverage the power and strength of the Sothebyâ&#x20AC;&#x2122;s International Realty worldwide network. Property Exposure Opportunities Sothebyâ&#x20AC;&#x2122;s International Realty network members have an array of exclusive complimentary exposure opportunities available for the properties they represent. By submitting high-quality property images and video on the property exposure promotion portal of access.sir.com, properties will be considered for one of our many high-profile, highly-visible placements on platforms such as sothebysrealty.com, editorial features with major media partners, YouTube, sothebys.com, and more. _________ INSIGHT: The more you take advantage of content opportunities on sothebysrealty.com to market the properties you represent, the greater the chance for additional high-profile exposure with our media partners. Property Distribution The exposure and worldwide reach of our listings is a crucial piece of what sets us apart from the rest of the industry. Our global property marketing partners include the most authoritative news, lifestyle, and financial voices, as well as real estatecentric websites. Additionally, once a home is showcased on sothebysrealty.com, it is exclusively marketed on more than 100 Sothebyâ&#x20AC;&#x2122;s International Realty affiliate websites around the world. Results are measured with a variety of analytics and reporting tools, which enable sales associates and clients to define a marketing campaigns impact. Property Advertising Our print co-operative advertising program builds on the clout of the worldâ&#x20AC;&#x2122;s bestknown media publications. Sothebyâ&#x20AC;&#x2122;s International Realty network members can select from year-long opportunities that feature pre-negotiated, subsidized rates to provide properties with vast targeted exposure. Supporting co-op advertising initiatives, the brand participates in events that represent the peak of global prominence such as Wimbledon and the Cannes Film Festival. The digital co-op advertising program provides members with turnkey opportunities to enhance their local marketing initiatives and drive awareness within targeted markets. _________ INSIGHT: Our brand commitments provide targeted exposure to an affluent clientele and at favorable costs. Leveraging our campaign programs provides network members with the ability to enhance their local marketing initiatives and drive more traffic to their websites, creating new buyer opportunities. _________ INSIGHT: A toolkit of skillfully crafted materials leverages the power of Sotheby’s International Realty brand resources to boost exposure locally, nationally, and globally and generate consistent impressions with each and every interaction. Global Distribution Program The brandâ&#x20AC;&#x2122;s ability to distribute property brochures across our international network is a clear point of differentiation in marketing a home. Properties that are priced at $1.5 million (USD) and above qualify for this program in which brochure copies are sent to all real estate offices within our network as well as select auction house locations. _________ INSIGHT: The ability of the Sothebyâ&#x20AC;&#x2122;s International Realty brand to circulate property brochures across our entire worldwide network sets us above and beyond our competitors and is yet another example of the unique value we offer in opening doors to those who value distinctive properties. Home History Book One of the most successful tools within our line of marketing materials is the Home History book, a repository of critical property information elicited from the seller. The book captures unique content such as homeownerâ&#x20AC;&#x2122;s perspectives, photos, and captions that can be used to develop a robust narrative for the property brochure as well as for sothebysrealty.com storytelling. _________ INSIGHT: Eliciting property information for use in advertising and marketing builds a unique bond and partnership between agent and seller. At the same time, having the Home History book available at the residence for potential homebuyers to see helps bolster emotional appeal. Email Marketing Our multi-tiered email templates are offered both tailorable and turnkey, providing consistent, on-brand messaging, social media links, and market news. Responsivedesign templates allow members to create digital marketing materials quickly and easily in order to stay connected with clients past, present, and future. With our e-newsletter templates, members can tap into drag-and-drop functionality to promote recent significant sales, featured listings, new-to-market properties, and more. _________ INSIGHT: Electronic marketing provides yet another touch point between you and your clients. By sharing meaningful and up-to-the-minute industry information, it positions you as the recognized real estate expert. Using customizable materials also harnesses the power of our recognizable brand media campaigns as you market yourself and your properties. Design Vault Enjoy access to dozens of advertising options that allow you to springboard off the brandâ&#x20AC;&#x2122;s global media campaigns, yet are fully customizable for your local marketplace. Design Vault enables you to easily execute a consistent and impactful marketing strategy that maximizes property exposure. _________ INSIGHT: The consistency of the Sothebyâ&#x20AC;&#x2122;s International Realty brand image and our globally recognizable campaigns can extend your reach with worldwide exposure that help to spur consumers to action. Within minutes create print ads, social media assets, post cards, and download brand assets. _________ INSIGHT: By taking advantage of the iconic imagery of the worldâ&#x20AC;&#x2122;s greatest artists, members have an exclusive opportunity to eloquently and memorably elevate the creative tone of their local advertising efforts. and more, all on a complimentary basis. 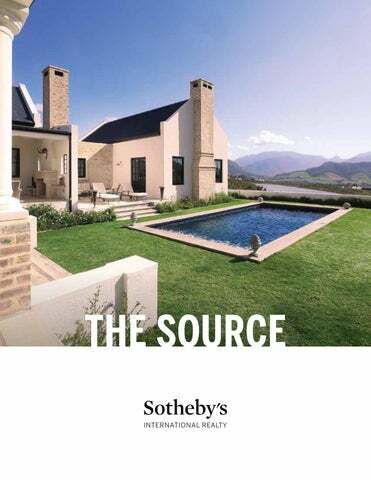 Sotheby's Advertising Opportunities The Sotheby’s International Realty brand has a remarkable opportunity to reach clientele of the Sotheby’s auction house through advertising in Sotheby’s Magazine. This large-format magazine enriches readers who are connoisseurs of life with sophisticated content related to the worlds of fine art and real estate. Sotheby’s Magazine features editorial showcasing Sotheby’s International Realty brand properties as well as a property gallery. Additional property exposure opportunities exist with Sotheby’s client newsletters. _________ INSIGHT: Sotheby’s Magazine is an exclusive publication showcasing the most valuable pieces of fine and decorative art, precious objects, collectibles, and more. By advertising select properties in the publication or in Sotheby’s Selects newsletters, the most affluent and discerning clientele of the auction house can become your next client. Brand Events Our brand events provide unparalleled global exposure and networking with the world’s most sought-after real estate and luxury enthusiasts. Through immersive, one-of-a-kind experiences, our network is able to deliver exclusive property promotion opportunities. In addition to brand events, we partner with the acclaimed Sotheby’s auction house and build high-profile sponsorships, engaging prospective sellers and buyers and showcasing the most inspiring properties in the world. _________ INSIGHT: These very exclusive events increase brand awareness and promote our brand to luxury consumers around the world. By sponsoring or participating in one of these events you have an opportunity to network with Sotheby’s International Realty affiliates from around the world and also to showcase listings in a targeted global manner to the most affluent and discerning clientele. Client Appreciation Gifts What happens after the closing is essential to generating repeat business. A curated selection of items from our Product Studio is available at pre-negotiated, discounted rates. _________ INSIGHT: Client follow-up is smart business. Offerings from our Product Studio line help you create meaningful interactions and foster long-term relationships with clients that go well beyond a postcard or e-mail. Global Referral System The Sotheby’s International Realty Referral Network is uniquely designed to enhance revenue potential for both real estate and auction consignments by connecting and managing business opportunities through our extended affiliate network. _________ INSIGHT: Referrals are handled with white-glove care to ensure clients receive the level and consistency of service they expect from Sotheby’s and the Sotheby’s International Realty brand. Signage The Sothebyâ&#x20AC;&#x2122;s International Realty brand places great emphasis on sign compliance around the world to ensure our brand marks are always within identity standards. To assist with conformity and compliance, we maintain relationships with several partners who are available to personalize signs for either your local company or individual agent in adherence with brand standards. _________ INSIGHT: Research proves that consumers want to work with recognized brands. A fractured brand image can confuse existing and prospective clients alike. The Sothebyâ&#x20AC;&#x2122;s International Realty brand places great emphasis on sign compliance to ensure our brand marks are consistently recognized by consumers globally as well as in your local market. Quality Control The Sotheby’s International Realty brand clients have an expectation of what the brand represents, which is why our quality control team ensures the heritage and distinction of the Sotheby’s brand is maintained at every level. The team reviews online content and collateral materials to make sure it is within brand standards and meets the high expectations set by our clients. We have created guidelines, a style guide, to ensure our properties stand apart from the rest with a tone and voice that is consistent and cohesive. access.sir.com The Sotheby's International Realty brand’s communication and collaboration platform, access.sir.com, offers many exciting features and plays a critical role as the gateway to all that our brand has to offer. A responsive design means on the go, anytime access. Features include: · Access to the latest information, apps, tools, and resources. · Each Monday, find the latest updates from the brand in the What's New section. · Ability to connect and collaborate with Sotheby's International Realty brand peers around the globe. · Buyer registry for connecting all Sotheby's International Realty brand listings to prospective buyers. ON THE COVER: Western Cape, South Africa sothebysrealty.com/id/ PWLQT4 © MMXIV Sotheby’s International Realty Affiliates LLC. All Rights Reserved. Sotheby’s International Realty® is a registered trademark licensed to Sotheby’s International Realty Affiliates LLC. An Equal Opportunity Company. Equal Housing Opportunity. Each Office Is Independently Owned And Operated.